One of the things that will often stop you from starting a home business may be that you have never had the time to sit down and actually define how to start a small business from home. You may have had all the ideas jumbled up in your brain but you have never really put pen to paper to actually define what these ideas are, what problems you will solve and who your ideal customer should be. For some people, you have even put down some ideas but you are not sure you have the guts to pull it through. You need that extra push and motivation to kick you out of lethargy and start what you want to do. You see the first step to starting your business from home is first defining what business you want to start and who you want to sell to. Get a good idea of this and you are half way through. 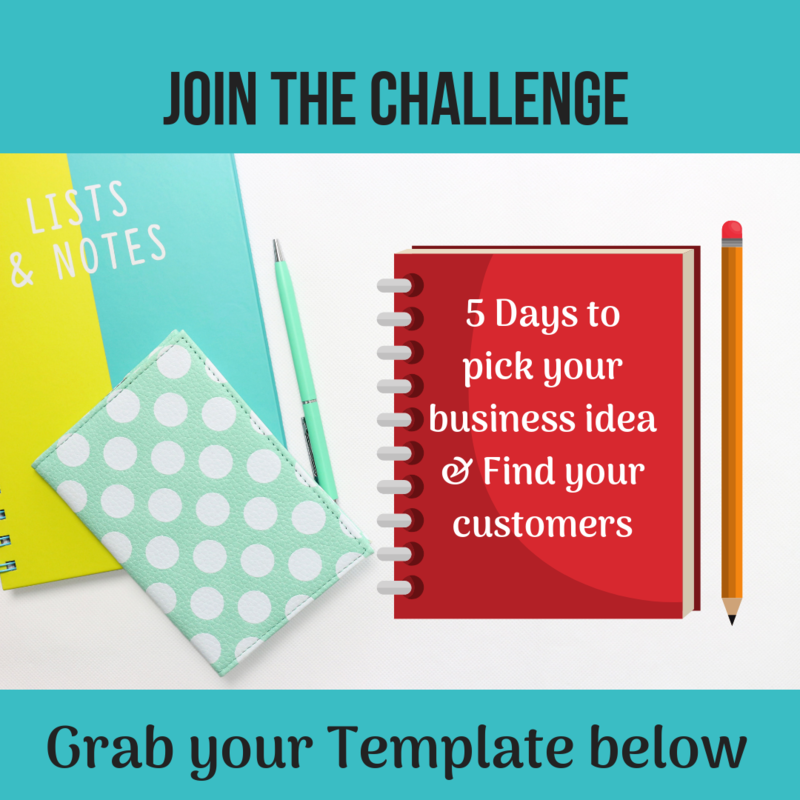 This challenge is designed to help you scan through the many business ideas you have, itemize them and define who your ideal customers are. It is going to be a group challenge so you get the opportunity to swap ideas, get clarifications and be motivated to start your business from home. If you are that person that has been procrastinating and wondering how to start a small business from home. This is the divine opportunity you have been waiting for. You will get the opportunity to do in 5 days what you have been procrastinating about for some time now. Have ideas that you have been thinking about and you want to learn how to start a small business from home. Have never done any business before, but you want to start one. Are already in business but you have never identified who your ideal customers are. Provide you with prompts and guides on how to crystallize your business ideas into viable business offer. Help you to find define your ideal buyers. Find out where they are online or offline, so you can market to them. Help you to create your minimum viable product that you can start with. The Home Business Owner Planner. Day 6- Optional– Start from where you are, with what you have master class. Grab a template from here and start prepping for this challenge. Challenge starts on 18th of February and we are good to go. Update: Even though the challenge is done, you can still be part of this business challenge because I saved the email series for you. So sign up with my email list and start your own challenge.